One of the best parts of gardening is being able to cut flowers to bring inside. Growing up, my grandma had the most beautiful peonies and I remember the large green glass vase she’d put them in to grace her dining table. Perhaps it’s those nostalgic feelings that draw me to peonies so much, but who can resist that sweet aroma and lovely gigantic blooms. Last summer, I was at a garden center and I came across a few different varieties of peonies. My grandma always had fuchsia and the classic pale pink, but I was intrigued by the white and red peonies before my eyes, and thought they’d fit the design of my garden a little better. I decided to purchase a couple and see how they’d do. 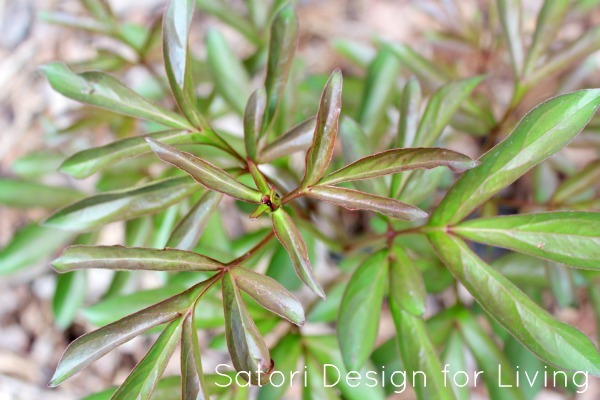 After planting the peonies in one of my flower beds, I noticed the stem and leaves were growing over the summer, but there weren’t any buds and they didn’t bloom. Disappointing! When my mom was visiting last summer, she said they probably wouldn’t bloom in the first year, but I would probably see something the next year. Luckily the plants survived the winter and my fingers are crossed that I will see gorgeous peony flowers this summer. I do see a tiny bud forming on one of the plants and I hope it turns into something spectacular! 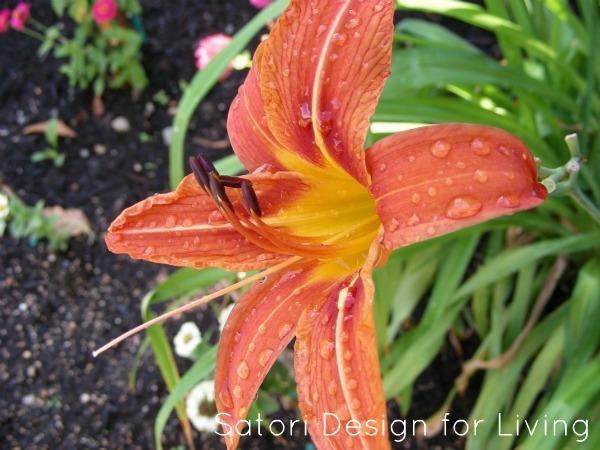 If not, I know my lilies, lupins, lavender and other plants won’t fail. They are my steady eddies! After starting my flowers and such board on Pinterest, I noticed I was pinning a lot of blooms in glass bottles. 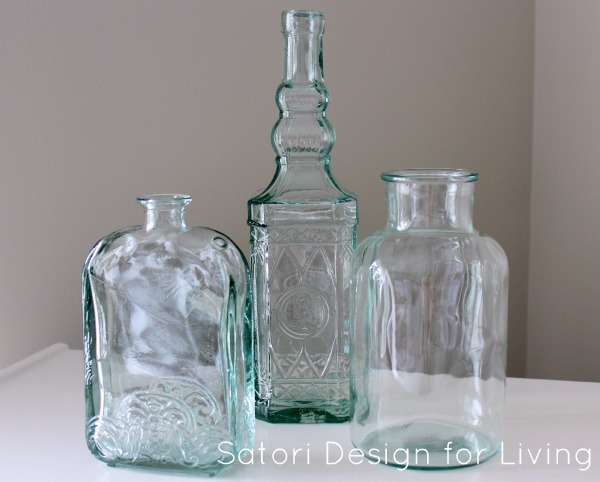 While visiting a thrift shop, I came across a collection of green glass bottles and I knew they had to make their way home with me at a cost of only $4. I can’t wait to use them as vases for the flowers I cut from my garden and I’ll definitely be on the lookout for more! What are your favorite flowers? Do you have any that conjure up happy memories? How do you like to display your blooms? I’m crossing my fingers for your blooms. I love peonies! And I love hydrangea too! They grow well here in NY. Hydrangea are so beautiful. There are only a couple varieties that do well here. Peonies are so romantic and one of my favorite blooms. favorite places to visit with my grandmother. I am keeping my fingers crossed for you Shauna that your peonies bloom! Thanks Lisa. I love orchids just as much, but for different reasons. It’s amazing how a flower can do that! I know which variety you’re talking about and the color is gorgeous. 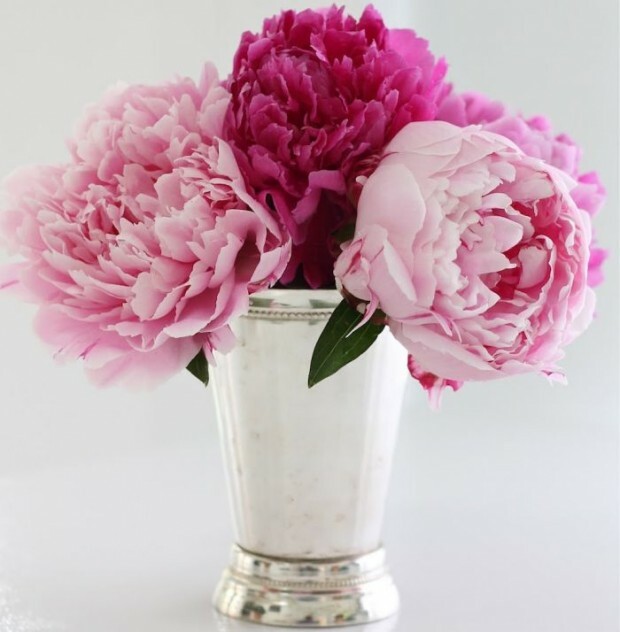 Peonies seem to evoke memories for so many people… they certainly do for me! 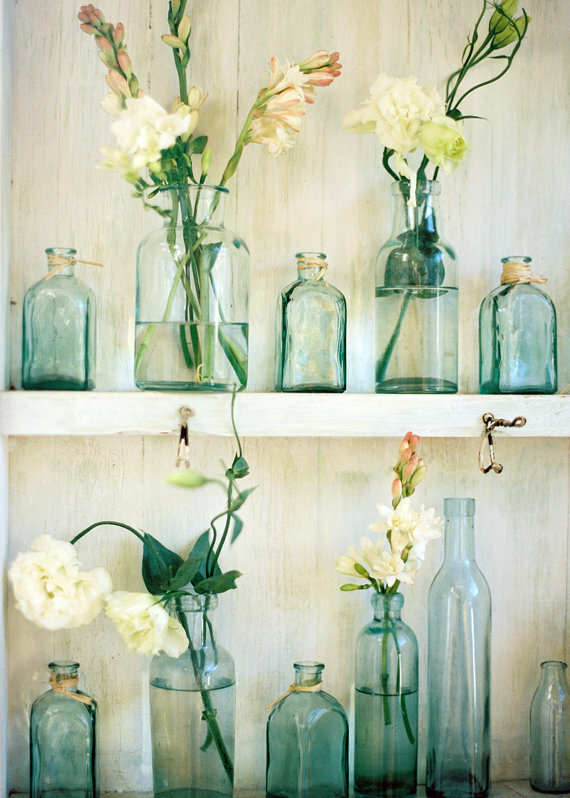 I love your new bottle collection… they are beautiful with or without blooms!